Today we test and review a GeForce GTX 780 from EVGA, the SC ACX edition specifically. The Superclocked model comes with a nice factory tweak and that all new ball bearing fan based ACX cooler. 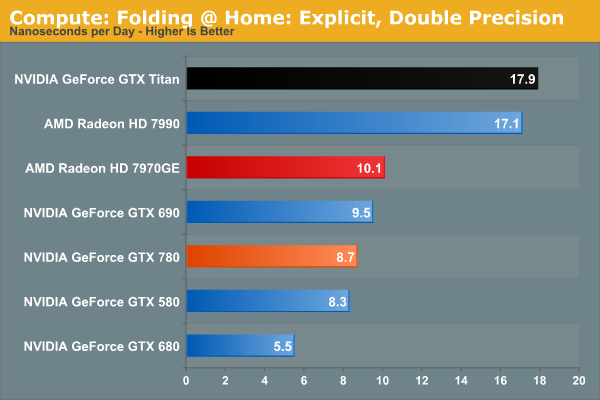 Overall the card is almost as fast as a GeForce GTX Titan, 100% cool and 100% silent. We test the product with the hottest games like Metro: Last light, Battlefield 3, Sleeping Dogs, Far Cry 3, Medal of Honor Warfighter, Hitman Absolution and many more. Turbocharge your experience with the powerful performance of the EVGA GeForce GTX 650 Ti and enjoy the latest games in full 1080P HD with this next-generation NVIDIA Kepler architecture-based GPU. Nice temp difference, similar to old Fermi GF110 stock vs custom. Nvidia did it again this looks identical to the 670-680 performance gap (this review proves it as it is like a 670 FTW vs vanilla 680 with the gap of the 780 AVX vs Titan gap) no one of sound mine should pay the premium for the Titan after this. Except people who will game on 1440 surround and then MAYBE we need 6gb. Can't find any reviews with Vram usage on surround gaming vs one screen to build a complete hypothesis. I might acutally buy three 780s just to test it! now this is a very nice card indeed! can someone explain this please ? Once it is available in the stores then please be careful, there will be a several SKUs based on the GTX 780, our sample is the 03G-P4-2784-KR SKU. What is there to look for ? Does it say on the box which sku it is ? For gaming, ok, now for peoples who want Titan for computing stuff, the loss on DP is the reason of the price difference. Yes. There's a sticker on the side of the box that has the serial number and the SKU. 2. 03G-P4-2784-KR is the super clocked version. found it on a site with that sku for 680euro. just got finished reading the review. MAN those temps under load are just crazy. Well done Evga. Finally a card that does better in cooling than the exotics like Gigabytes Windforce. I've faulted Evgas poor cooling performance before when they've stuck too often to the ref cooler design. Looks like we have a winner here. Seems to be the best 780 out there atm. I hope i can grab one in early June. Those temperatures are really impressive but it doesn't seem to do much for the card's overclocking potential when the reference cards already overclock well. So basically you're paying a premium for a card that runs cooler but not much else. It isn't even any quieter than a reference card according to Guru3D's review (both are 40 db under load despite the fact the reference card hits 80 C). Also, the new cooling means the card loses the premium looks of the reference card, not that it really matters once it is stuck inside your case. I see your point but you are speaking to a very small minority with the castrated DP. This product is aimed at gamers nvidia offers the Tesla line for the power users out there. This is the card you ordered correct? You could always slap a full coverage water block on it and get that "premium" look back. No, I ordered the reference EVGA card for £549 from Scan (they seem to be back to that price at the moment, or at least they were when I looked earlier on this morning - they went up to £595 20 minutes after I'd placed my order. I don't see the point in paying extra for different cooling solutions or overclocked cards. I can easily achieve the same thing myself using Afterburner or Precision X and increasing the fan speed or using a custom profile. Fan noise doesn't bother me as my PC is stood on a carpet on noise-reducing rubber feet so even at 85% I cannot hear my GTX 680 fans when I'm playing a game as the PC is well out of the range of my ears. I doubt it, not on that temp and not those clocks.